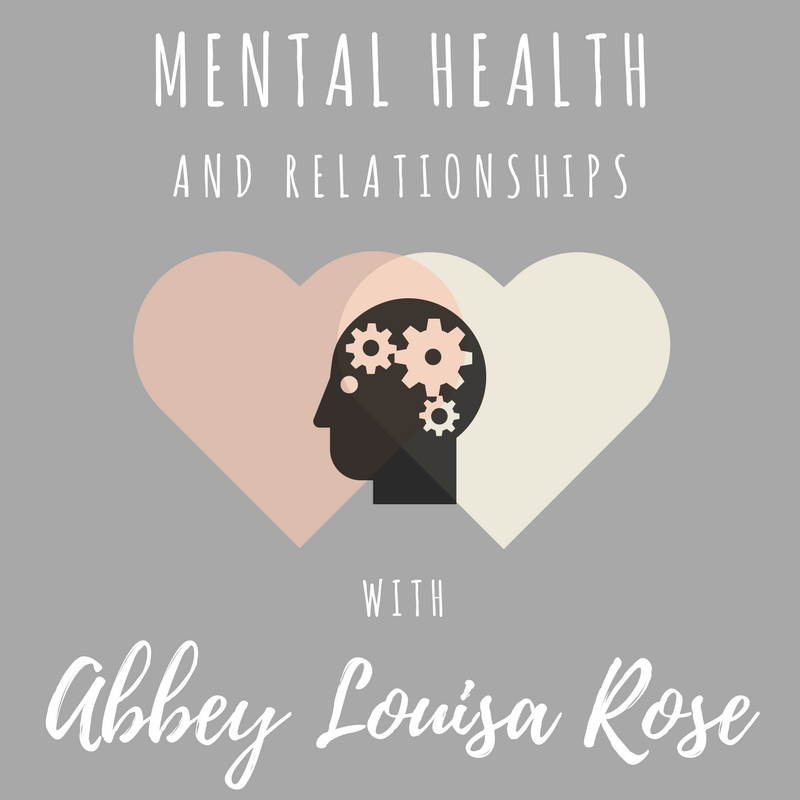 Mental Health + Relationships - with Abbey Louisa Rose! Happy Easter troops! Today is a very exciting day for me. I am finally getting to feature one of my favourite bloggers (and one of my favourite people for that matter) on my little corner of the internet. I'm sure you're already aware of Abbey, seeing as she is absolute killing it in the blogging world, but one thing she hasn't spoken about much (yet!) is mental health. I was really honoured when she agreed to take part in this collab, and I hope you'll find her answers as informative, educational and inspiring as I do. Abbey is a great friend of mine and runs one of the very few blogs I have bookmarked - Abbey Louisa Rose. How she manages to post such consistently awesome content while also studying for her Masters at Oxford University, I'll never know - the girl is an absolute machine! She was also recently voted the Most Supportive Blogger on Twitter, which is 100% accurate - she's always looking out for other people and has the kindest heart of anyone I know. And it doesn't hurt that she takes the most stunning photos too - she's going to be responsible for me making a road trip to Oxford if she's not careful! Hi, everyone! 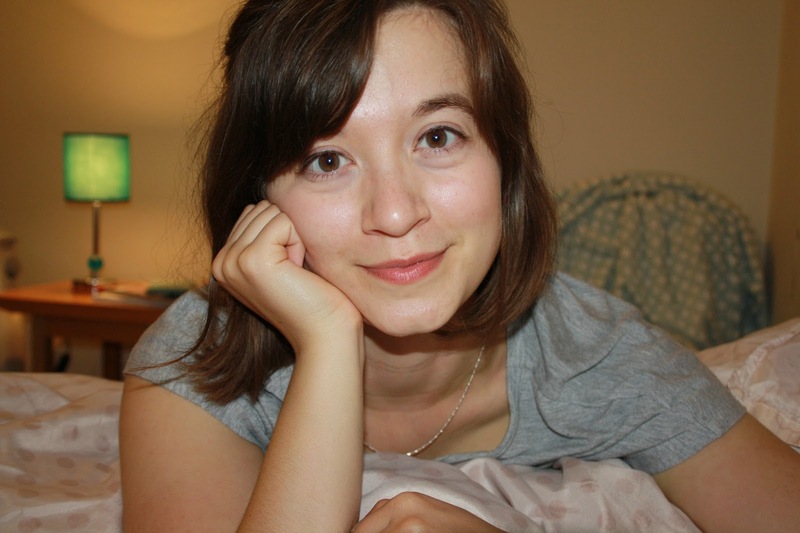 My name is Abbey and I'm a (soon-to-be) 22-year-old archaeologist and blogger! I blog at www.abbeylouisarose.co.uk. My blog is rather difficult to fit into a niche, I blog about pretty much anything and everything that interests me, from beauty and lifestyle to my days out, creative projects, and blogging experiences. As for my mental health, I have high-functioning depression and anxiety, which I was officially diagnosed with last year, but I experienced the "symptoms" for several years previously. My mental health is something which I'm determined to talk more about on my blog this year! I have discussed my MH with my Mum, who is my biggest support! 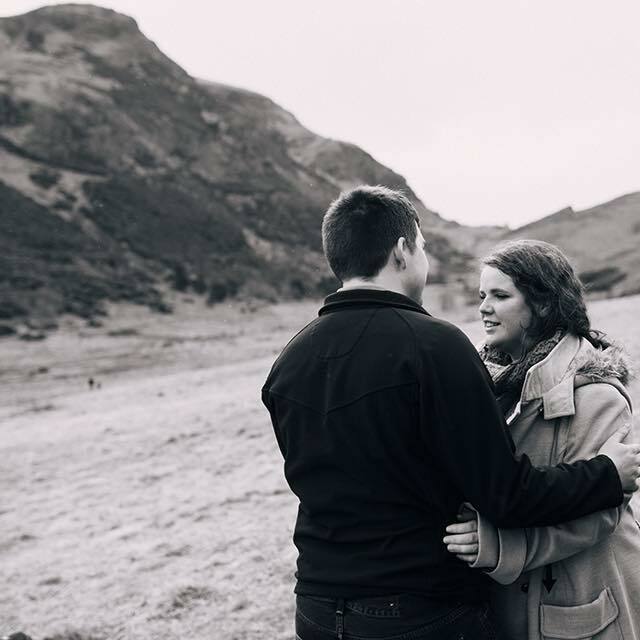 It was actually her that encouraged me to start seeking help for how I was feeling - she actually started the conversation by talking to me about how down she'd noticed that I had been, which made me realise that something had to change! Out of the friends and family members I have told, they have all been incredibly supportive, and I have felt very lucky because of that! As my condition is high-functioning, many people who I'm not that close to don't even realise that I have an MH issue, so sometimes when I tell them, it comes as a surprise! I've had such positive feedback from my Mum for seeking help. The depression certainly put a big strain on my relationship with my boyfriend. I wasn't the nicest person to be around when I was at my lowest because I wanted to be alone, but at the same time, I didn't want to be without anybody! My depression prevented me from enjoying all of the things that I loved doing with him - our days out, our walks, and just laughing together. This is what made me the saddest, the impact that how I was feeling had on the two of us. However, I can never thank my BF enough for the support and love he showed me during that time. Relationships with friends impact on my anxiety massively. If I fear that a friend is upset or annoyed with me, my anxiety spikes and it sometimes gets to the point where I feel like I can't breathe. Arguing with someone that is close to me is extremely tough, this is what causes me to have the most panic attacks. However, on the flip side, having a good friend who is there for you when you need them makes you feel infinitely better. Even if they haven't been through the same things as you, that they're there to give you a hug or hold your hand helps a lot. I generally prefer not to discuss it. If I'm asked directly about how I'm doing, I'll be open and I will answer, but I don't usually bring it up unless I'm really having the worst time or really need help. This approach definitely has more cons than pros! Often people just assume that I'm doing fine when this isn't really the case. My advice would be to talk about it - do as I say and not as I do! I wish that more people understood that just because I seem fine and happy on the outside, and I'm continuing with my usual routine of studying, seeing friends, and going out, sometimes I really am struggling. I think that the main thing that holds me back from telling people is the fear that I'm "attention seeking" or "making a fuss about nothing". My anxious brain tells me this is an attempt to shut me up, and I'm ashamed to say that I often do listen to these thoughts and I won't say a word. This is definitely something that I need to work on, as I KNOW that people with MH issues are not attention seekers for discussing their condition, but I still find it hard to speak up. I find it easiest to talk to one person at a time. I will often write down my thoughts before the conversation, as this stops me from feeling so anxious because I can "plan out the conversation" if that makes sense. You may also like to find some resources to give your loved ones about your condition. The American Psychiatric Association, for example, has an article on how depression differs from grief or bereavement, which may be a distinction that many non-sufferers may struggle with. It may take time for your loved ones to fully get a handle on your condition, but it's important to persevere and KEEP TALKING, as they can be your biggest support and source of comfort! If you want to support a friend/loved one through a tough time with their MH - thank you. What you're doing will mean more to that person than they can probably ever express. My advice is this: Ask how they're doing, and listen. We don't expect you to fully understand where we're coming from or know exactly how we feel from experience, but just listening and saying "I hear you" is so important. Allow them to talk about how they're feeling in their own words. Understand that they may not be able to put all of their feelings into words, or express themselves perfectly. These are tough things to talk about, but please don't give up on us - just listening and being there makes a real difference. If you want to talk but don't have someone you can confide in, I'd recommend calling the Samaritans (call 116 123) - it's free and if you don't feel comfortable on the phone, you can email them as well. I also find blogs an amazing resource. Reading about how other people are affected by and deal with their MH issues really makes you feel like you're not alone. Chats such as #TalkMH are also enlightening, even if you just read the answers rather than actively joining in, which I sometimes do! I have also started practising Mindfulness, which I'd highly recommend. It sounds like a load of old namby-pamby rubbish that won't actually impact on anyone's life, and I was similarly sceptical before I enrolled on a course, but now I'm a total convert! Mindfulness practices do help you to deal with negative thoughts in a productive way, and I use the techniques daily. For me, this has been a real eye-opener of an interview. When I am not coping well, it is incredibly obvious, so to hear from someone who manages to 'keep it together' while struggling is really interesting. Abbey raised such a valid point - you never know what someone else is going through. Even those people who, like Abbey, are working or studying, have healthy social lives and also find time to smash it out of the park on their blogs, can have mental health issues. The perception that all depression looks the same way - not getting out of bed, crying, and avoiding people - is dangerous. The fact that it may not be obvious that something is wrong can, as Abbey says, prevent people from speaking out and seeking help for fear they will be called attention seekers. I'm sure most of us would hate to feel like those closest to us were going through something so hard on their own. Checking in with those around us, whether or not they are exhibiting 'obvious' symptoms, is key. Just like Abbey's mum did, let your loved ones know that you care and that you are there for them if they need you. A huge thank you to Abbey for opening up and sharing her experiences with us. It was so interesting to see another perspective on these issues, and I genuinely feel like I've learnt a lot from this - I'm so grateful for that! Thank you so so much for publishing my answers, Beth! And thank you for taking the time to read everything I've said so carefully (it really shows in your response and that means a lot)! You're absolutely right that depression and anxiety (and any other MH issue for that matter) looks different on different people, which is totally to be expected given that every person is unique and has had entirely individual life experiences! Thank you also for being such a great friend to me and for writing such kind and wonderful things about me and my blog, your friendship means the world to me and I'd be lost without you! The Music That Made Me. Finnich Glen + The Devil's Pulpit.